December is a month full of wonderful winter holidays, many of which celebrate life, family, happiness and giving. While some of the more notable holidays that occur during this month are Christmas, Hanukkah and Kwanzaa, there are many similar holidays that are celebrated all over the world. How many can you name? December is also the last month of the year. On Dec. 31, people all over the U.S. will gather to celebrate the beginning of a new year. Fireworks are often set off at midnight to commemorate the occasion. Commonly served in the southern part of the U.S., black-eyed peas are thought to bring luck and prosperity for the new year, greens (usually collards) to bring wealth, and pork to symbolize moving forward. It's Christmas time for Emily Elizabeth and Clifford! 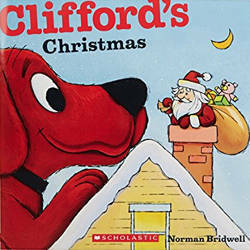 While they count down the days to their favorite holiday, Clifford makes a snowman, gets a tree and finds a surprise in his stocking. When Daniel Tiger feels grateful, he makes sure to say "thank you!" Sometimes he even makes a thank you card to show how much he cares. Who do you want to thank today? Parents will love teaching their little ones all about what it means to be thankful in this adorable book that includes tips for them to help guide kids through their emotions. December's traditional birthstone is the turquoise. It is considered a symbol of good fortune and success. When a copywriter of the Montgomery Ward department store, Robert May, was assigned the task of creating a name for a reindeer for a Christmas poem, Rudolph was his third pick. His first picks, Rollo and Reginald, were vetoed. The poem was shared with millions of customers. Kwanzaa, which is observed Dec. 26 through Jan. 1, is a nonreligious holiday that celebrates African-American culture. The weeklong event highlights seven principles, including Nia, which is Swahili for "purpose." That's where actress Nia Long got her name. Boxing Day is the equivalent of America's Black Friday to Canada and England. In Ireland, they call it St. Stephen's Day. No matter the name for the special day, it is known around the world as a shopping frenzy. Traditions come and go over the years, and studies show that spray cans of fake snow and tinsel are next to be a forgotten tradition. Aluminum trees are already a tradition of the past, ever since they were put to shame on "A Charlie Brown Christmas." Festivus, the anti-consumerism alternative to Christmas featured on the sitcom "Seinfeld," has become a tradition for fans of the show, many of which celebrate the fictitious holiday. The state of Florida even recognized Festivus by allowing the traditional metal pole (as opposed to a tree) to be displayed at the state Capitol building. James Lord Pierpont, an organist from Savannah, Georgia, first performed a song he wrote, "The One Horse Open Sleigh," at his church's Thanksgiving concert. The song was republished in 1857 and given the title of "Jingle Bells," now a Christmas standard. The word Hanukkah means "dedication." On Black Friday, 55 percent of parents check the availability of items on their smartphones prior to going to the store. All the gifts in the song "Twelve Days of Christmas" would equal 364 gifts. Eat before dinner - Don't deprive yourself before your Thanksgiving dinner. Eat a hearty breakfast and lunch, complete with in-between snacks throughout the day. If you show up at dinner starving, you'll be more likely to overeat and your body will have a harder time digesting the heavy meal. Eat plenty of vegetables - Before reaching for turkey and potatoes, fill two-thirds of your plate with vegetables. They will fill you up and keep you from indulging in unhealthy food. Drink lots of water - Drink plenty of water before and during your meal. Your mind often interprets thirst as hunger, so water will help your stomach stay full and keep you from overeating. Plus, you won't pack on any of the additional calories soft drinks and other beverages can add to your meal. Limit sweets - If you've eaten a healthy meal, you can indulge yourself in a sliver of pie or a small portion of ice cream. If you're still craving more, eat fruit to satisfy your sweet tooth in a healthier way. Leave the dinner table after eating - Once you're done eating, leave the table. The entire dinner party should move to another room to chat and spend time together. Hanging out around the table may tempt you to snack on some leftovers. Write an annual letter to your child - The holidays are an appropriate time to mark your child's growth with a special message that will be cherished for a lifetime. Seal their letters and store them in a keepsake box until they're old enough to read and enjoy them. Do a Secret Santa gift exchange for charity - This year, when you draw names to determine who's buying for whom, turn the tables. Instead of buying a present, make a donation or spend time volunteering for a charity of the giftee's choice. 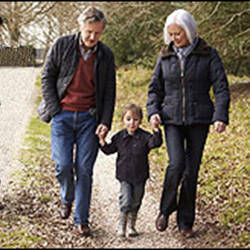 Make a family walk an annual event - Whether you have a houseful of in-laws visiting or it's just you, your spouse and your baby this holiday, walking is a great way to spend time with each other, let off steam, and work off those extra gingerbread cookies! Set aside time - even if it's 30 minutes - to get outside and stretch your legs with the family. Leave a legacy that lasts (and helps the environment) - Each New Year's Day, plant a tree in honor of your child(ren). Hold a special ceremony in which everyone in the family plays a part in planting that year's tree, and take lots of pictures, both when the tree is planted and over the years as it grows. Take part in a community service project as a family - Designate a day that will be devoted to serving others in your community. Do some research to create a list of local options, then vote on the project you'll complete as a family. Decide what you would like to put in your snow globe. One idea is to use Legos, if your child can part with them. 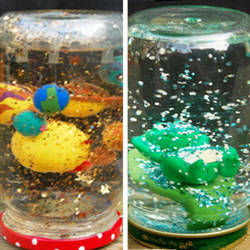 Glue, place and stick your plastic figurine to the inside of the jar lid. Fill your jar with water and/or glycerin. Add 1-2 teaspoons of glitter. Screw the lid on the jar. If you're concerned about your child trying to open it, glue it shut. 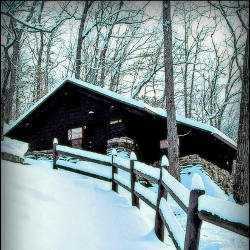 Getting "trapped" in an Arkansas State Park cabin in the snow is a great way to enjoy a winter vacation. Explore the park from an updated, historic Civilian Conservation Corps cabin. Winter wildlife watching is as wonderful as warming back up by the fireplace at night. Bring your own food when visiting, because once you're snowed in the dining options are limited. This is a great way to catch up on your reading. Take the ice cream out of the freezer, and, using an ice cream scoop, scoop out eight scoops of ice cream. Put them on a silver foil-lined tray, and pop them back in the freezer. Break the bar of chocolate into pieces in a microwave-proof bowl, and either microwave it or melt over a pot of boiling water (have mom or dad help). Don't overheat the chocolate. Leave to cool down without allowing the chocolate to set. Dip the ice cream balls in the melted chocolate, and gently turn, using a teaspoon. 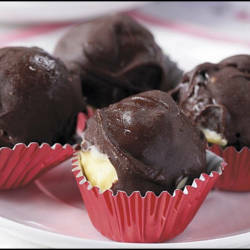 Pop the chocolate-coated ice cream balls back on a piece of silver foil, and return them to the freezer. Freeze until set. 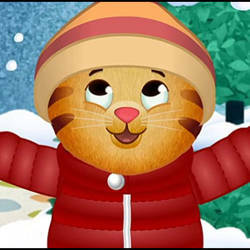 A winter wonderland of fun holiday programming is coming to PBS KIDS this December! "Sesame Street: Once Upon A Sesame Street Christmas"
Monday, Dec. 11, at 10:30 a.m., and Tuesday, Dec. 12, and Thursday, Dec. 14 at 11 each morning. "Peg + Cat + Holidays"
Monday, Dec. 11, Friday, Dec. 15, and Tuesday, Dec. 26, at noon each day. "The Cat in the Hat Knows A Lot About Christmas"
Tuesday, Dec. 5, at 10:30 a.m.
"Curious George: A Very Monkey Christmas"
Mondays, Dec. 4 and 11, and Friday, Dec. 15, at 7:30 each morning. "Wild Kratts: A Creature Christmas"
Mondays, Dec. 4 and 11, and Friday, Dec. 15, at 2:30 each afternoon. "Daniel Tiger's Neighborhood: Daniel's Winter Adventure/Neighborhood Nutcracker"
Friday, Dec. 22, at 8:30 a.m.
"Splash and Bubbles: Whitebeard/Coral Day"
Friday, Dec. 22, at 10 a.m.
"Dinosaur Train: Dinosaurs in the Snow/Cretaceous Conifers"
Friday, Dec. 22, at 12:30 p.m.
"Christmas With the Mormon Tabernacle Choir Featuring Rolando Villazon" - premiers Friday, Dec. 15, at 8 p.m. 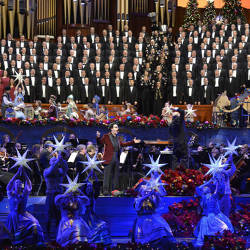 Celebrate the holidays with the renowned Mormon Tabernacle Choir. This season's cross-cultural spectacular features the world's leading tenor, Rolando Villazon, and seasonal favorites. "AETN Presents: A Holiday Music Gala" - airing Friday, Dec. 22, at 6:30 p.m.; Sunday, Dec. 24, at 12:30 p.m., 4 p.m. and 11:30 p.m.; and Monday, Dec. 25, at 6:30 p.m. A special holiday "AETN Presents" featuring traditional carols, songs of the season and unique arrangements of spirituals with a Christmas theme. AETN, in partnership with the Donald W. Reynolds Performance Hall, will feature the University of Central Arkansas's Chamber Singers and Concert Choir, the Arkansas Chamber Singers and the University of Arkansas at Pine Bluff's Vesper Choir. 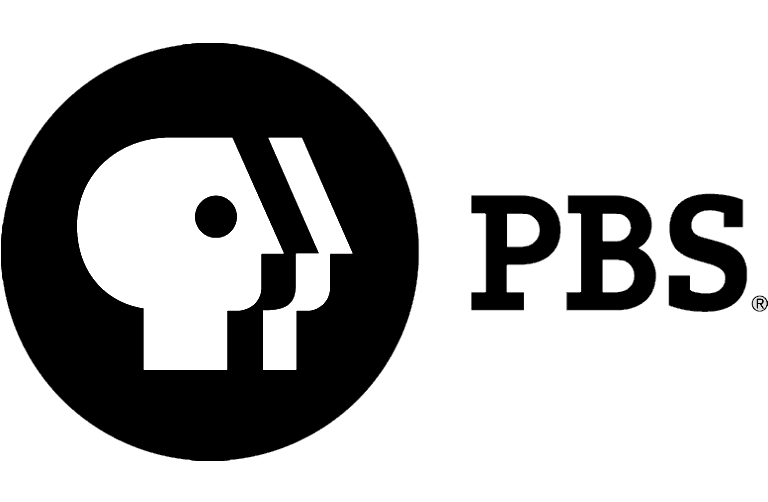 "Pinkalicious & Peterrific," a new PBS KIDS animated series will premiere Monday, Feb. 19, 2018. "Pinkalicious & Peterrific" will encourage children to explore the arts and spark creativity. 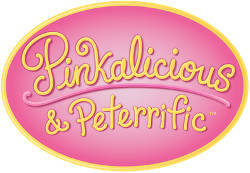 "Pinkalicious & Peterrific" follows the adventures of Pinkalicious and her brother Peter. Pinkalicious imagines creative possibilities everywhere she looks. She is an artist at heart and, like most creative people, she sees the world differently from others. She knows what she likes, and she is not afraid to express herself, though she sometimes needs help from her brother, Peter, and her neighborhood friends. Watch all your favorite shows! 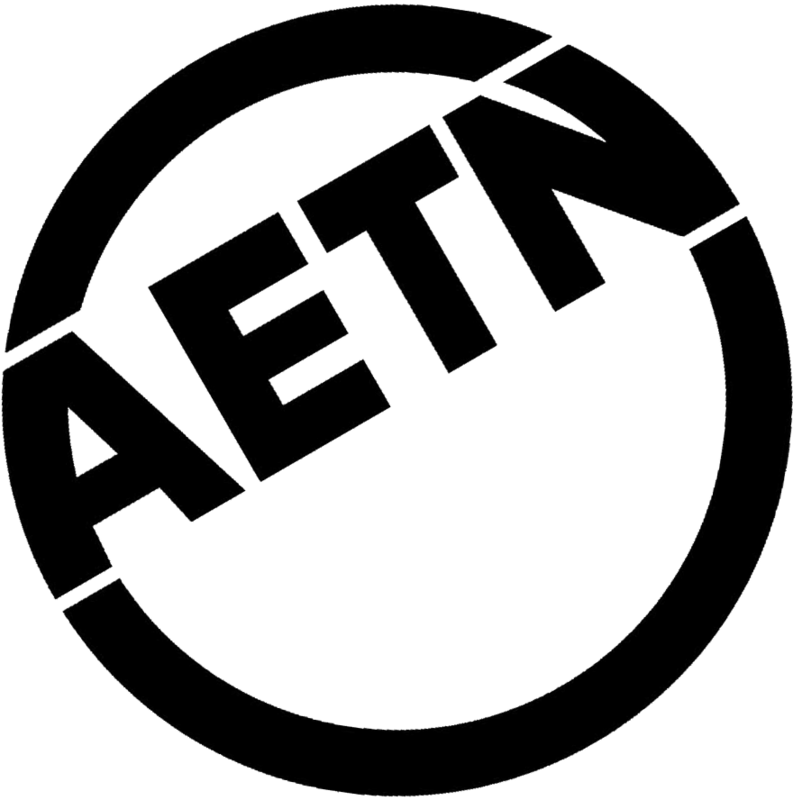 For a complete schedule, visit aetn.org/kids. 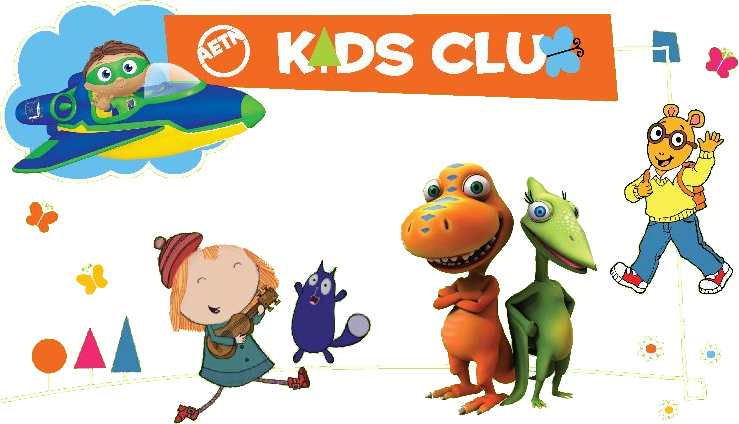 Play, watch and learn with your favorite series at pbskids.org. 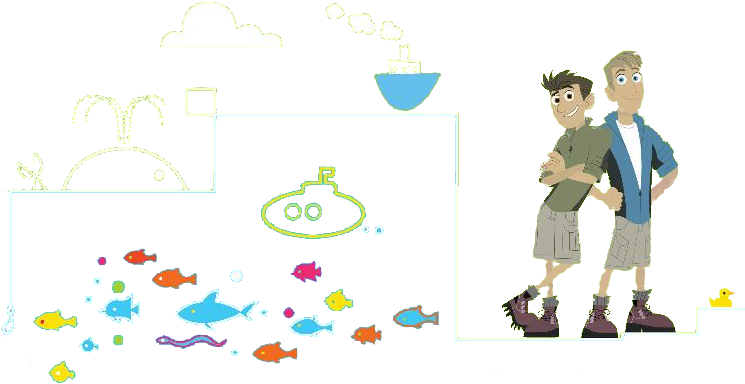 Check out activities and resources, and follow our blog at aetn.org/parents.